All the items – call them essayistic aphorisms – in this collection of revised and reformatted weblogs were originally hosted at 'Anoox.com' in blog format under the alias 'yaholin', and succeed my other collections of weblogs both in date of composition (2009) and theoretical development, so that they might be regarded as the most advanced and conclusive project of its kind. In some instances, a fair amount of revision, including the incorporation of some additional material, has taken place, and I am confident that this collection will bear out the claim to be revised and reformatted to an extent that warrants serious consideration as a 'book' in itself, complete with a logically consistent structure and thematic bias that is nothing less than consummately metaphysical, or at any rate centred, truthfully, in the advancement of metaphysics at the expense of what is either contrary to or beneath metaphysics. It that respect, this is as definitive a statement of truth as one is likely to get from me, and I am confident that the title The Centre of Truth will resolve my long struggle, over several decades, to advance the cause of truth in relation to the centre through a succession of ‘centretruths’, about which I have written below (see ‘Concerning Centretruths’ in the title link). - John O'Loughlin. 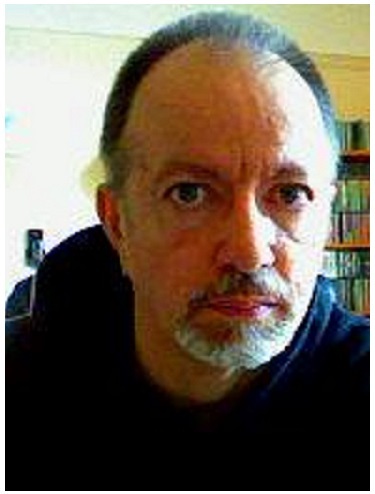 John O’Loughlin was born in Salthill, Galway, the Republic of Ireland, of Irish- and British-born parents in 1952. Following a parental split partly due to his mother's Aldershot origins (her father, a Presbyterian from Donegal, had served in the British Army), he was brought to England by his mother and grandmother (who had initially returned to Ireland with her daughter upon the death of her Aldershot-based husband after a lengthy marital absence from Athenry) in the mid-50s and, having had the benefit of private tuition from a Catholic priest, subsequently attended St. Joseph's and St. George's RC schools in Aldershot, Hants, and, with an enforced change of denomination from Catholic to Protestant in consequence of having been put into care by his mother upon the death and repatriation of his grandmother, he went on to attend first Barrow Hedges Primary School in Carshalton Beeches, Surrey, and then Carshalton High School for Boys in Sutton, where he ultimately became a sixth-form prefect. Upon leaving high school in pre-GCSE era 1970 with an assortment of CSEs (Certificate of Secondary Education) and GCEs (General Certificate of Education), including history and music, he moved up to London and went on, via two short-lived jobs, one of which was at Ivor Mairants Music Centre on Rathbone Place, to work at the Associated Board of the Royal Schools of Music in Bedford Square, where, with some prior experience himself of having sat and passed (with merit) an ABRSM Gd. 4 piano exam, he eventually became responsible for booking examination venues throughout the British Isles. After a brief flirtation with English and History A Levels at Redhill Technical College back in Surrey, where he was then living, he returned to his former job in the West End but, due to a combination of personal factors, not the least of which had to do with the depressing consequences of an enforced return to an insalubrious part of north London, he left the Associated Board in 1976 and began to pursue a literary vocation which, despite a brief spell as a computer and office-skills tutor at Hornsey Management Agency within the local YMCA in the late '80s and early '90s, during which time he added some computer-related NVQs to his other qualifications, he has steadfastly continued with ever since. His novels include Changing Worlds (1976), Cross-Purposes (1979), Logan's Influence (1980), Sublimated Relations (1981), and False Pretences (1982). Since the mid-80s Mr O'Loughlin has dedicated himself almost exclusively to philosophy, which he regards as his true literary vocation, and has penned more than seventy titles of a philosophical nature, including Devil and God (1985-6), Towards the Supernoumenon (1987), Elemental Spectra (1988-9), Philosophical Truth (1991-2) Maximum Truth (1993), The Soul of Being (1998), Point Omega Point (2002), The Dialectics of Synthetic Attraction (2004), The Centre of Truth (2009), Musings of a Superfluous Man (2011) and, more recently, Atoms and Pseudo-Atoms (2014) and The Black Notebooks (2015). John O'Loughlin is a life-long bachelor who has somewhat reluctantly lived at various addresses in the London borough of Haringey since 1974.